During a conversation with a prospect in Dallas, Texas, it was revealed that he loved history books and was a fan of Fox News. 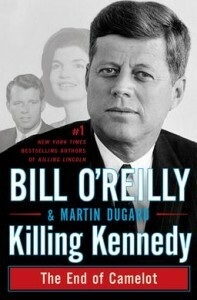 Since it was the 50th anniversary of the Kennedy assassination, the sales person purchased the book “Killing Kennedy” written by Fox News host Bill O’Reilly and dropped off the book personally to the prospect’s home. Days later, a thank you note was received from the prospect where he invited the sales person to “borrow the book anytime”. Thus, a personal relationship was formed and the prospect advanced from the Thinking Stage to the Planning Stage – all for the small price of a book.